Donald McInnes, world famous violist and teacher, is known in virtually every corner of the artistic world for his appearances with major orchestras, recitals, chamber music participation, and numerous master classes. To mark the release of three of his new arrangements for viola, he recently sat down for an exclusive interview with us. Be sure to read up on what Mr. McInnes has to say about teaching, orchestra prep, recordings, and more, and check out his new scores below! 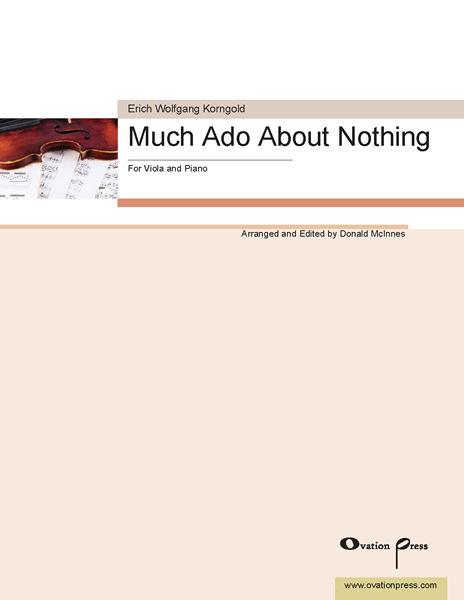 Korngold's Much Ado About Nothing was originally composed in 1918-1919 as incidental music for chamber orchestra to the Shakespeare play. 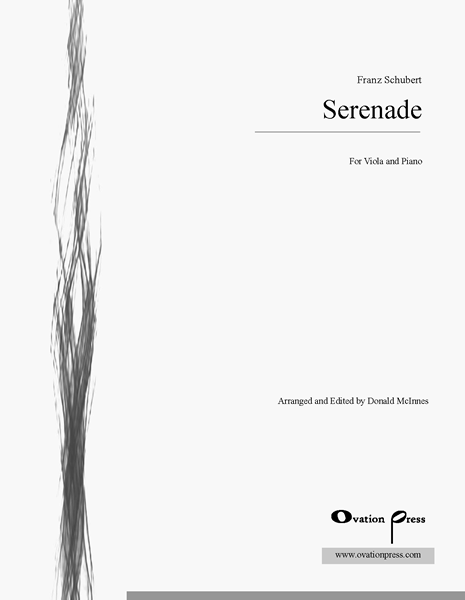 Premiering in Vienna in 1920, it enjoyed instant success and soon spread around the world in a series of arrangements, now further augmented by this exciting new version for viola and piano! Schubert's immortal Ständchen (Serenade) was written in 1826 and later compiled posthumously as part of Schwanengesang (Swan Song). It was originally composed as an alto solo and male chorus and was subsequently rearranged for female voices only. 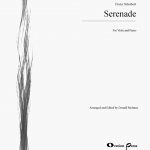 Now it has been transcribed for viola and piano, while preserving the grace and beauty of its simple melody. Through the viola, the essence of the "singer" shines through, urging his lover to make him happy. Ständchen (Serenade) is the second song in a set of Six Lieder, Op. 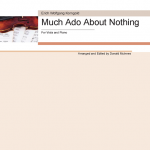 17 originally for high voice and piano by Richard Strauss. Like in the arrangement of Schubert's Serenade, the music translates the language of love to viola. Below is an English translation of the last stanza. In 2004, Mr. McInnes was honored as the National Artist Teacher of the Year by the American String Teachers’ Association. This same year he received the Silver Alto Clef Award, the highest award presented by the International Viola Society. Mr. McInnes also held Professorship of Viola at the University of Southern California (the position previously held by his teacher, the famed William Primrose) for 53 years until May of 2014 when he retired. Learn more about Donald McInnes and his arrangements at Ovation Press.